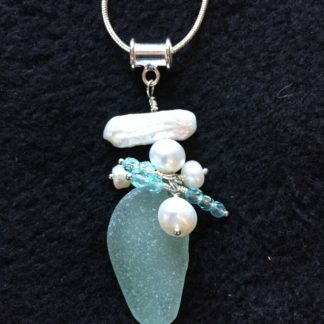 View cart “Brown Sea Glass Necklace with Pearls” has been added to your cart. 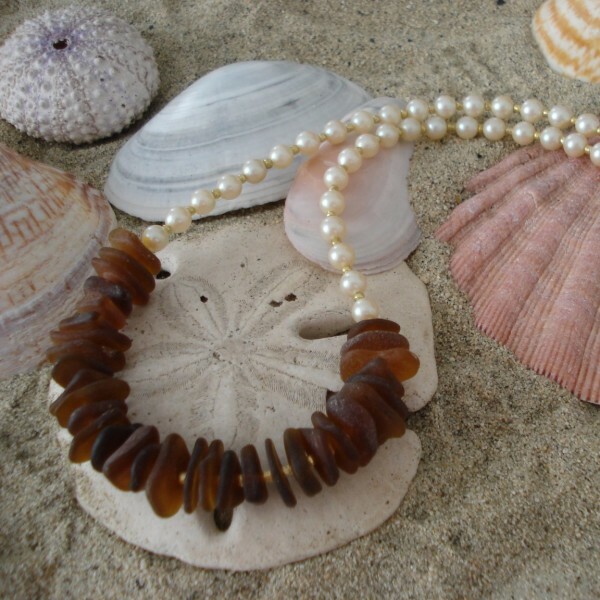 Brown Sea Glass Necklace with Pearls. 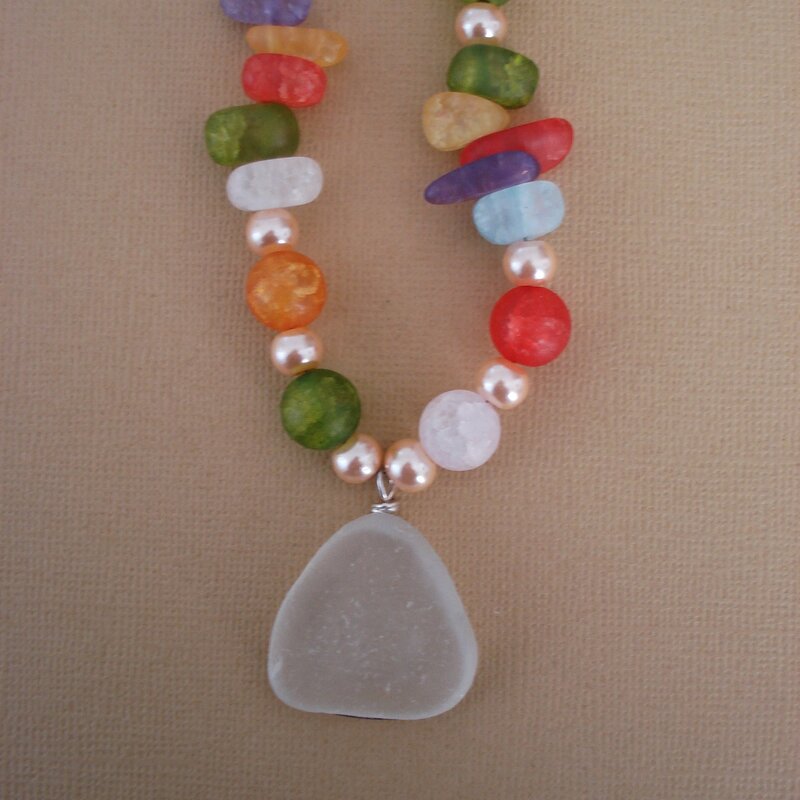 This stacked necklace was created using brown sea glass with fresh water pearls. 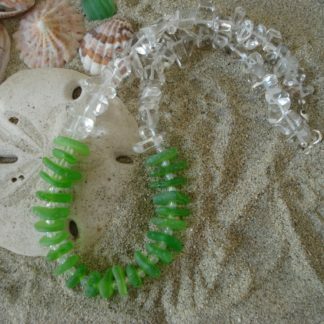 Tiny gold balls accent this lovely sea glass necklace. Unique in design, this necklace has the classical pearl necklace look with a twist of freshness being the brown sea glass. 18″ in length with a 14kt gold filled clasp. 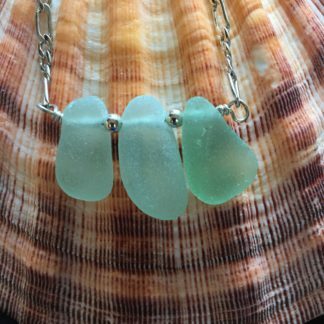 This sea glass necklace is perfect for any occasion. 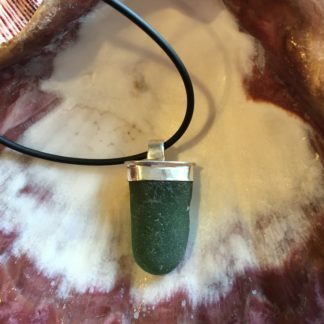 The necklace will arrive in a lovely box for safe keeping.